Has anybody taken this exam - Red Hat Certified JBoss Administration (RHCJA) Exam (EX248) ? How many questions/tasks was there ? What was level of questions ? Can you remember the questions ? How where they assessed ? Can you recommend any online tutorial appropriate for this exam ? is RMI/IOOP involved when using local interface? i suppose i get reference to service and no rmi/ioop is used. Have just Uploaded Part 2 Assignment, what to do next ? Of course, I said that tongue in cheek. Now upload it to javaranch. confirmation page with buyed pet color is displayed. 1 should I show browser ? 2 to whom should a browser send a message? i send to DispatcherServlet, is it ok? should it be web server? what a message shoudl it be get(httpServletRequest, httpServletResponse)? i dont like this idea myself. 3dispatcher sevlet calls UrlToControllerMapper - it returns controller for current url, disp servelt calls on returned controller handleRequest(httpServletRequest, httpServletResponse) - should I show this steps on seq diagram? 4 orderController call checkAvailabilty on PetStoreServiceImpl, is it all right that i show true in return, how should i show that there can also be alternative flow - when false is returned - and than info with appropriate message is displayed to client - but i wouldnt like to show whole flow through all mvc classes, can i simple omit it? should i show jms queue? 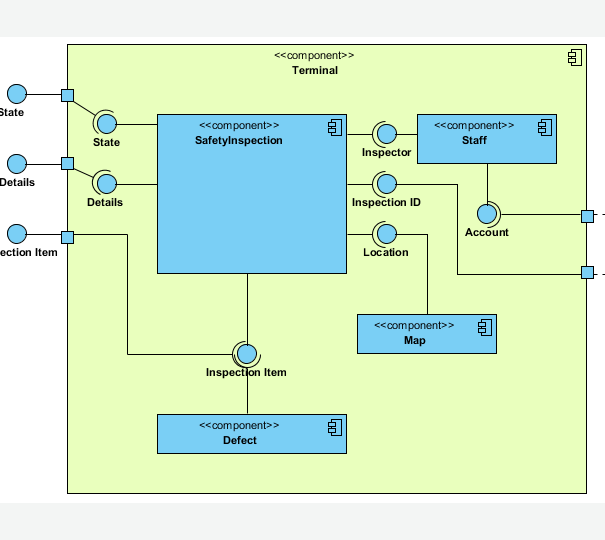 7 deliverServiceMDB communicates with external system of shipping company, how can i model it? 8 how can i show creating new modelAndView, is my method ok (calling new("petColor", petColor)) - i have seen in samples eg no new but <<create>> but how to show params? <<create>>("petColor", petColor) ? 9 any other remarks, what would You do better, other, what is completely unacceptable, may be not liked by sun evaluators? Use the @EJB annotation to inject either a session bean's or entity bean's interfaces, which can be either local or remote. You can use the @EJB annotation to look up both EJB 3.0 and EJB 2.1 bean references. - so can't I inject a remote interface from other vm? I cant find it written there. 1)Why using slsb as dao is bad? We have already done it and it was quite handful. 2) Are business delegate + service locator still valid when using ejb 3.0? Is it possible to make a reference in sequence diagram to other sequence in trial version of EA? I see many other possibilities (opt/loop etc) but no ref. How do we show relationship between a SampleController class that uses a SampleService class that is implemented by SampleServiceImpl, and SampleServiceImpl uses GenericDao<Sample> interface that is implemented by GenericDaoImpl<Sample> ? or aggretation is used only to domain classes? can we use any 'arrow' here? in which direction? or we simply represent daos as properties? I have another question about class diagram, how do we show relationship between a SampleController class that uses a SampleService class that is implemented by SampleServiceImpl, and SampleServiceImpl uses GenericDao<Sample> interface that is implemented by GenericDaoImpl<Sample> ? or we simply represent them as properties? when do we use assembly line, and when normal arrows? when one component displays an interface, and other uses it - than it's assembly? but whan use line whith arrow? on the picture from wiki assebly is used in internal dependencies of component, and arrows connect to external ports. are ports equal to interfaces? name port is used in external context and interface in internal? which classes from the class diagram i dont have to put in component diagram? do i put interfaces or their implementations in componenet diagram? which classes that arent on class diagram do i put on component diagram? what are objects that i put into component diagram? are they classes from class diagram? is eg security (implemented declarativly in web.xml) a component? which relationship line should connect service with dao on class diagram? is there any sample solution of sample assignment? or any old assigment from sun?